The World of Althéa: Give Me Power! And by "power", I mean it literally - in the form of electricity. For this week we had two days without electricity due to "essential" repair work in our area. This caused me to do very little work on the module as well as have very little else to do except make a few notes of what needed doing and read a book. For those interested I am reading Robin Hobb's Farseer series: A fantasy novel about an assassin to a king, written in the first person. I recommend it as a good read. In the time I was able to work on the module, I finished the overland map code and made an attempt at creating the actual map area. I say 'attempt', as my skills in this area are not good. 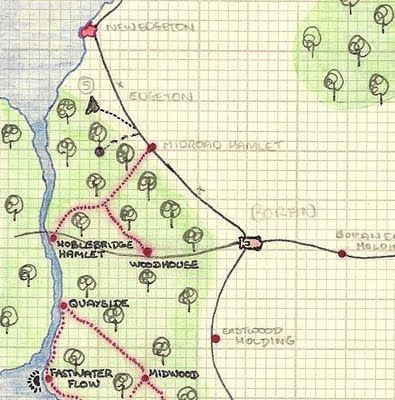 Furthermore, I worked from an old existing PnP paper map, which as anybody who has played PnP will know, tends to be rather bland in detail compared to a NWN2 SoZ version. Consequently, my own area map does not contain as much detail as I would like to have had due to restrictions of current exisiting campaign design. Hopefully, as the story moves into areas not currently written for the campaign, I will be able to create more interesting overland maps. Correct scale maps with movement reflecting actual miles and time travelled. New overland map GUI to reflect terrain type, time taken and other info. Discoverable 'locations' based on best in party skills. 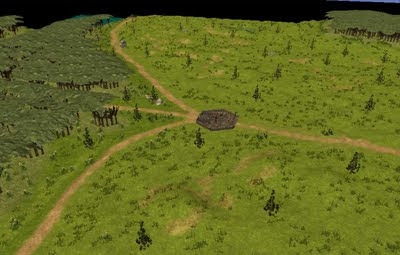 (*) There will also be an option for players who find a map to ignore overland map travel altogether if they wish to. It will be up to the player if they prefer to use quicker transfer between locations rather than explore a map. A combination of travel types is recommended so the player does not miss out on finding goodies and winning XP for their PCs that overland map exploration can bring. 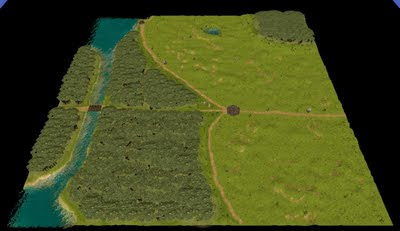 For those interested, here is a snippet of the old PnP map I worked from with its CRPG conversion images in the toolset. I think the map looks good--it needs goodies and stuff, but the raw design of it looks fine. Your choices of letting the player use a map or overland travel seems smart. The map looks good and will surely look even better when filled with more placeables. I really liked the Farseer books and have recently been reading the Liveship series and the Tawny man series from the same "universe". I often find that long series lose there edge but they kept me interested until the end. I have been looking into the strange behavior of the light staff but couldn't find the problem. I'll try to make it from scratch and see if it's corrupt someway. Thanks for your encouraging words of support. It always seemed much simpler in PnP days - where maps are concerned at least. Then, any map was a good visual aid or prop to help the game go along. I am struggling with thinking of more placeables at the moment. Maybe I will have more sparks of inspriration when I go back to it. ;) Alternatively, I will concentrate on just adding secret goodies and locations to help make the travelling less "boring". 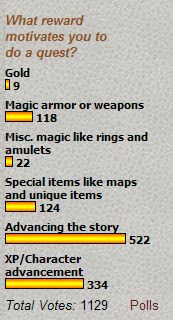 Fortunately, I hope my next "map" will be more exciting for both me to design and the player to use.